Two warring countries have long battled because one is hoarding all the wealth. A young pilot, Susumu Tokimune, trades in his slow Trail Krieger for Argevollen, a masterful new model mecha machine, to save a young girl named Jamie Hazaford. Now that Susumu has piloted Argevollen, he’s the only that can now operate it. Along with Jamie as his guide, Susumu is working out the clumsy kinks of the machine as enemy forces are on their trail. Igelma is now closer than ever before, and gathering intelligence on Argevollen. The Arandas army has been asked to guard the road between Arandas and Ingelmia. 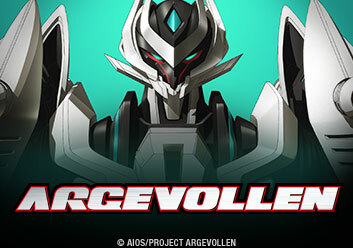 Argevollen is a powerful machine, but will this attack be too much for it to handle? After feeling sorry and apologizing for disobeying orders, Susumu is asked to continue piloting Argevollen. Jamie hasn’t a different opinion about it all, however. 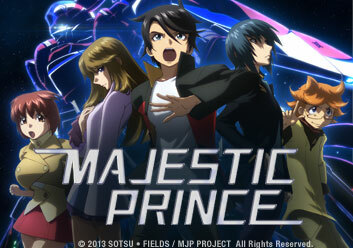 Certainly, though, Susumu is on a mission to find out who killed his sister. Susumu reflects on his life in the military and the real reason he joined, while Jaime reflects on how to get out of this mess. They're both trying to figure things out and deal with their emotions, but do the two have feelings for each other? Argevollen has shut down and Jamie must risk her life and limb to save Susumu and the machine. 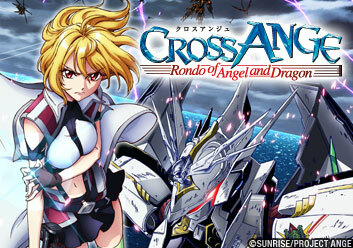 She fears handling such a huge responsibility as she crosses enemy lines and enemy fire to reboot Argevollen. And she makes a startling revelation. The rest go off to the resort town of Bellhals while Jamie and Susumu stay to work on Argevollen. Luckily, Susumu and Jamie make it to Bellhals and try to enjoy some down time. Susumu starts to put some of the pieces together of a military cover up. The sunflower field where his sister disappeared years before now becomes the battlefield as Susumu is just starting to get the hang of Argevollen to stop a surprise attack - and a rematch - from the enemy. Susumu's unit was deployed along the battle lines, and now they are taking a short rest at Wishpe - trying to soak up the hot springs. Igelmia has just crossed enemy lines. But after the last brutal battle, will Argevollen be prepared to fight again? Jamie must give Susumu an aptitude test to see if he will continue to pilot Argevollen. Afterwards, the gang all goes out to celebrate a promotion of one of their own, where the Captain reveals a shocking truth to Susumu. Sometimes it's much harder to uncover the truth than it is to cover it up as Saori reveals the mysterious death of Susumu’s sister. Now, Susumu must come to grips while going off to fight in another battle, hoping to restore faith in humanity. A new pilot, Private Namie Portman, shows up on the scene to operate a new, more powerful machine - the ZTK5 Seiran - which can apparently keep up with Argevollen. Of course, now Jamie has a rival to contend with for Susumu’s affection. Just when things start to look up for Argevollen and crew, a new enemy appears. The Ghost has been on the attack, and leaving nothing behind. Meanwhile, greed and politics rears its ugly head as the powers that be meet behind closed doors. Are Argevollen and crew playing into someone’s hands? 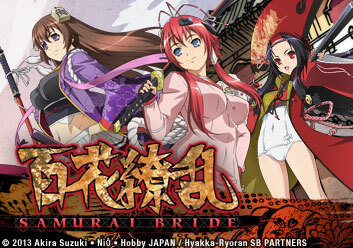 And will Susumu’s antics in battle go too far when he puts his friends’ lives in jeopardy? Susumu is forbidden to pilot Argevollen. Of course, there’s a valid reason Captain Samonji gives the strange order to not have their best man pilot their best machine. But how will the Kingdom of Arandas Alliance be able to stand up to Ghost now? The powers that be are handing out orders and demanding Argevollen to fight. Soldiers of Ingelmia are worried about Richtofen, saying he should see a doctor. Hardheaded, he refuses to see one - and returns into battle. Susumu is in a coma after Argevollen’s hard-fought battle against Ghost. Things are getting stranger by the moment when Kybernes Manufacturing shows up to personally repair Argevollen and entry by non-personnel is strictly forbidden. Samonji is shown mass-produced Argevollens: Perphevollens. Of course, these are remote–controlled machines, controlled like an extension of your own limbs. A celebration is secretively planned for Susumu’s recovery. Jaime and Susumu start to have some serious existential questions. Suguro says Kybernes is no longer supporting Argevollen. The Perfevollen strike force led by Samonji is revving up, but the citizens on both sides are really fed up with the war. Sturm Beta are now being used in an invasion against Arandas’ Perphevollens. All the Generals from Arandas have met to discuss the future of the war. There’s a coup and many of the military men follow Brigadier General Cayenne in the revolt. A surprising amount of soldiers are now supporting the Cayenne regime. Now that Samonji can control other mechs, he can control Argevollen too. Samonji is on Cayenne’s side and he’s looking to turn the war around. Whose side will the others choose? Cayenne's a traitor and used leaked info against the others, because he thought Arandas never had a chance at winning the war. Jaime’s trying to figure out how she can take back control of Argevollen. But can Unit 8 get to the Great Wall in time? Turns out, Captain Samonji seems to be on a suicide mission while trying to fulfill Susumu’s sister’s wishes before she died. Having a dilemma on his hands, Susumu has to make some tough decisions or face the consequences.